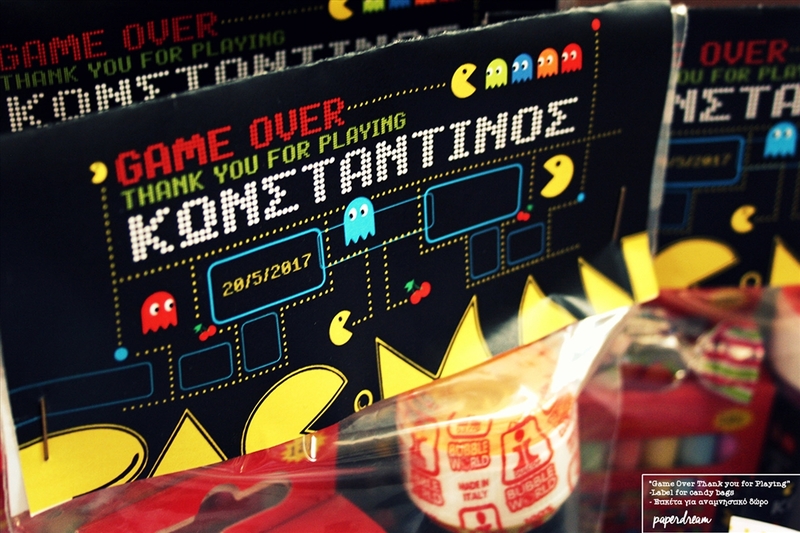 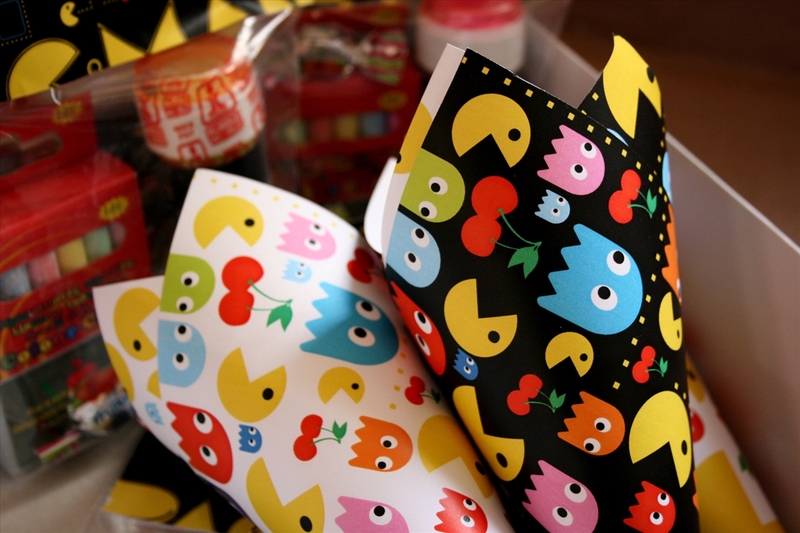 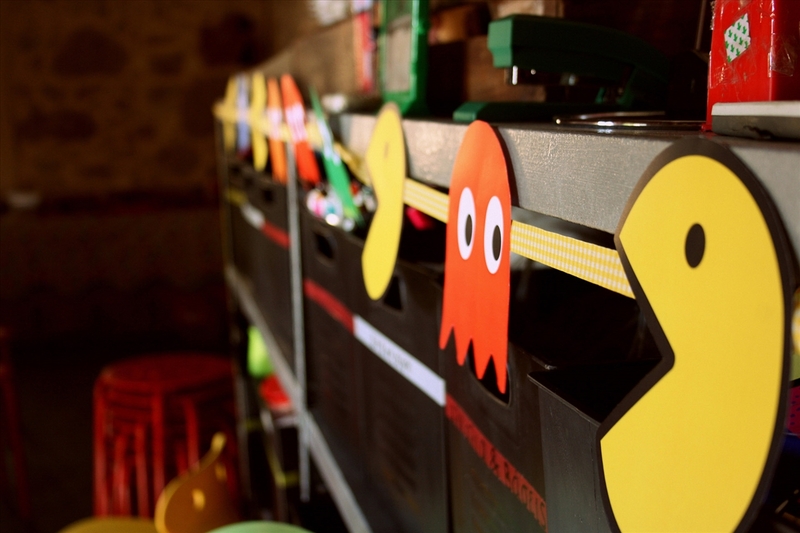 Konstantinos had his name day celebration and he chose his favourite pacman for his party. 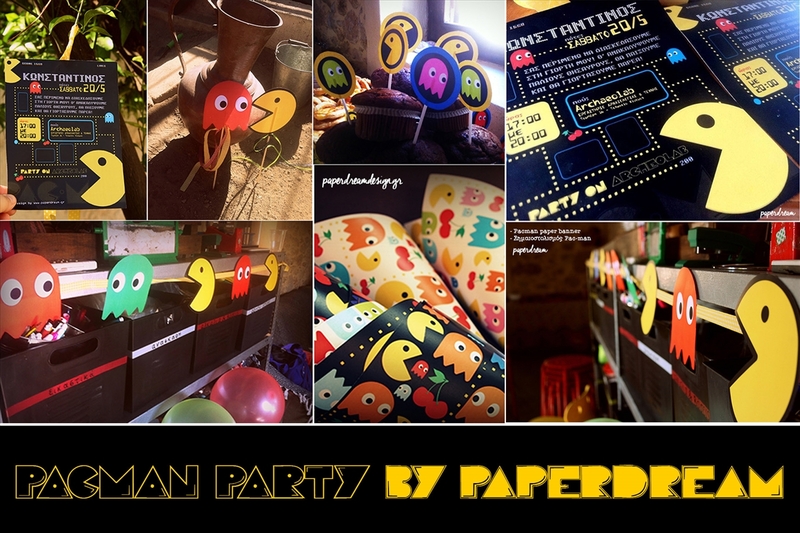 Party Invitation, Cornets, Banner with Pacman figures, labels for candy bags and bubble soap bottle. 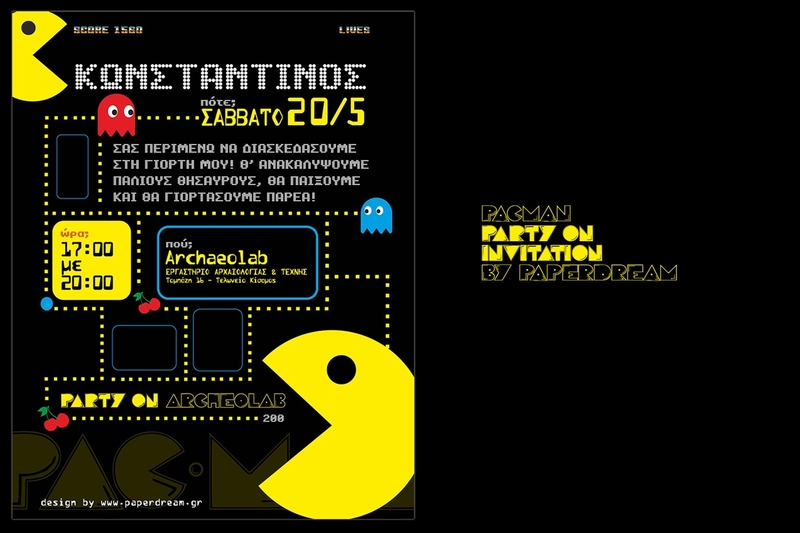 His party took place at the lovely place of Archaeolab activities camp.